We will match any local competitors’ advertised or everyday price on the same brand and sized tires. Just bring in the original advertisement to a Service Advisor up to 30 days after the date of your purchase with your original receipt. We value you and your loyalty! *Please ask any of our advisors for more information. Get a FREE multi-point inspection with every service done at Land Rover Boise. 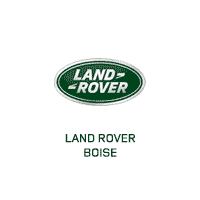 Valid at Land Rover Boise on Land Rover vehicles. Please present coupon at time of write-up. Cannot be combined with any other offers or applied to previous purchases. Prices vary by model and year. Valid only at Land Rover Boise on Land Rover vehicles. Please present coupon at time of write-up. Cannot be combined with any other offers or applied to previous purchases.